Many Americans are unfamiliar with the in’s and out’s of hospice care until they experience this unique approach to care with a close friend or family member. 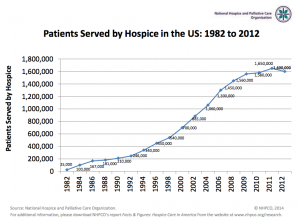 A quick glance at the graph below clearly shows that the amount of individuals receiving hospice care has consistently increased in the past few decades, and hospice care continues to change and evolve to care for the dying with the utmost dignity and respect. As home care providers who often complement the care that is given through hospice, we wanted to take this opportunity to bring you up to date on the latest statistics on hospice care, courtesy of the most recent annual report released by the National Hospice and Palliative Care Organization. In 2012*, Did you know? -An estimated 1.5-1.6 million individuals received services. -66% of individuals received hospice care in their place of residence, either a private residence, nursing home, or residential facility. -27.4% of individuals received hospice care in a hospice inpatient facility. -56.4% of hospice patients were women and 43.6% of hospice patients were men. -83.4% of hospice patients were 65 years of age or older. 40.5% were 85 year of age or older. -36.9% of hospice patients had a primary diagnosis of cancer. 12.8% of hospice patients had a primary diagnosis of dementia. 11.2% of hospice patients had a primary diagnosis of heart disease. Hospice care provides wonderful services with an emphasis on the dignity and respect of the patient. 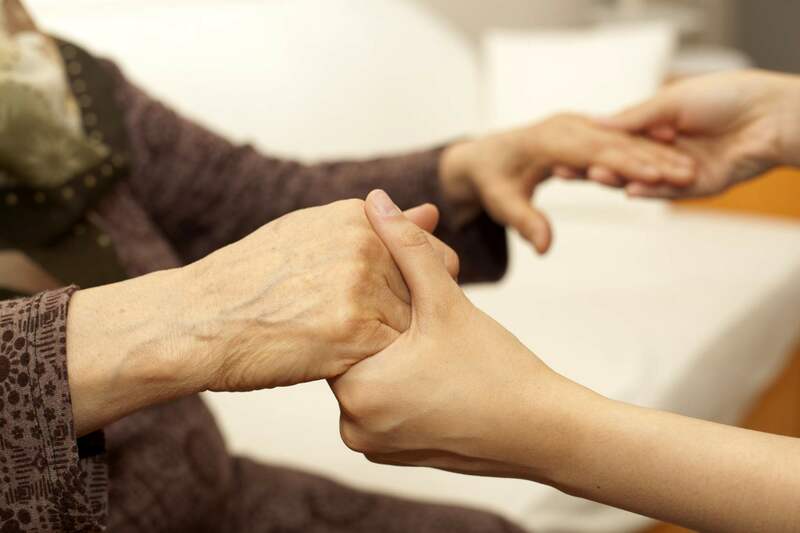 However, as you can see from the statistics, continuous care is only available during “brief periods of crisis” and respite care for the family caregiver is only available under a small number of circumstances. At Preferred Care at Home we have had the privilege of working alongside many hospice organizations providing the continual care needed for our clients to be cared for and comfortable. If you have questions about how private home care can be by your side when hospice is in place, contact a location near you.